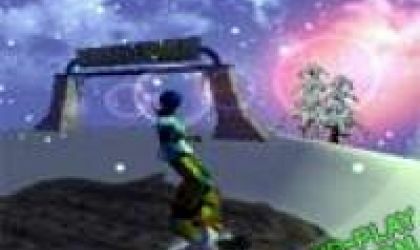 Freeride Earth 3 is a futuristic snowboarding game. The freedom of the game is impressive as there is an infinitely generated map. When you are racing against opponents you’ll be able to use your fan to gain speed. Charge your jump power and pop a 360. Rendered in beautiful 3D (with lens flares to boot) and featuring the freedom and excitement we’ve come to associate with snowboarding games, Freeride Earth 3 is a definite must if you feel the need to chill out. On the down side, this game can get quite repetitive, leaving one with a certain feeling of deja vu. This game has a nice concept that's something different. I am not aware of any other snowboarding game quite like this. The musical soundtrack is admittedly a little repetitious. However, the infinitely generated map more than makes up for this. 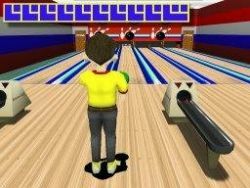 The graphics are a tad blocky, but this is also more than made up for by the fact that they are optimized and move well. The game is stable: I did not have a single problem with getting it to run. All in all, very playable. The graphics are amazing for a free game but after a few minutes you will be looking for something else to play. This game isnt' "impressive" or in "beautiful 3D". It's awful.